Hello there. Nice to meet you. My name is Chiaki, but you can call me also Jackie if you want. I'm a university student who is studying culture in Saitama. Do you know Saitama? 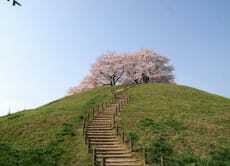 Saitama is the small prefecture above Tokyo. If you join my tour I hope you will become a big SAITAMA lover like me. I was born in Tochigi and moved to Saitama when I was a child, and I've lived here for about 20 years. Yes, I can say I'm a expert of Saitama. I want you to enjoy my place Saitama and I want to help you to make a great memory here! Go to the Sakitama Ancient Burial and Make a Magatama!